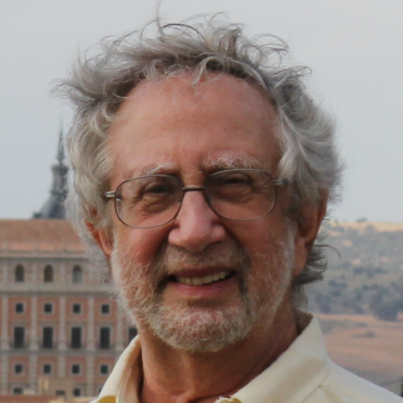 "Fodor's Representationalism", PowerPoint presentation for a Conference in Honor of Jerry Fodor, Rutgers University, May 2019. "Descartes and the Scientific Revolution", lecture to the Columbia College Contemporary Civilization faculty, November 2018. "The Poverty of Consciousness", PowerPoint slides derived from "Consciousness and Its Function", various versions (under various titles) presented at the UQÀM Institut des Sciences Cognitives on the Evolution and Function of Consciousness, July 2012 (Videoof that talk and blog discussion; video also on YouTube); the Berlin School of Mind and Brain, June 2009; in Mérida at the Centro Peninsular en Humanidades y Ciencias Sociales, UNAM, March 2009; the University of Michigan Spring Colloquium, March 2009; as the 25th Dean Kolitch Lecture at the CUNY Graduate Center, December 12, 2007; the 11th annual meeting of the Association for the Scientific Study of Consciousness (ASSC), Las Vegas, June 2007; and City University, London, September 2006. 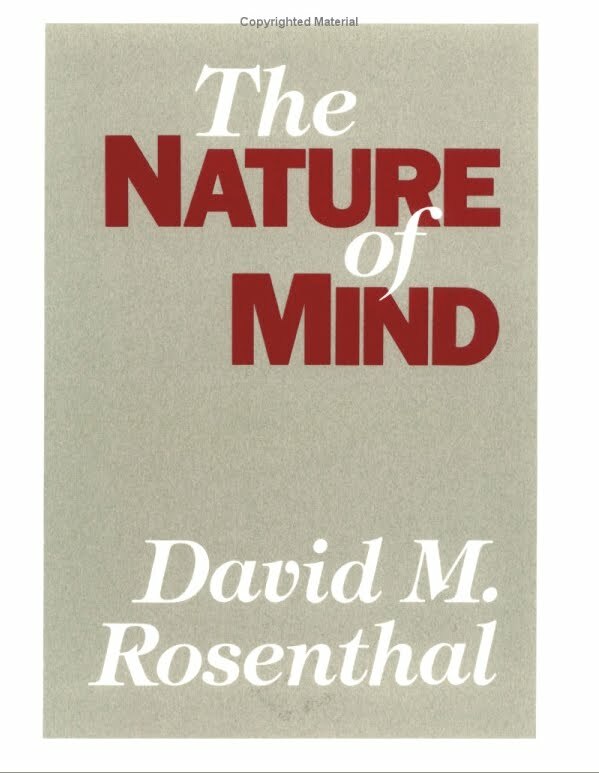 Reprinted in Before Consciousness: In Search of the Fundamentals of Mind, ed. Zdravko Radman, Exeter, UK: Academic Imprint, forthcoming, pp. 106-141. In Russian translation by Ksenya Chistopolskaya and David Pereplyotchik, as "Концепции и определения сознания", Methodology and History of Psychology(Методология и история психологии), 4, 43 (2009): 55-75. "Sensory Qualities, Consciousness, and Perception", in Consciousness and Mind,Oxford: Clarendon Press, 2005, pp. 175-226. "Why Are Verbally Expressed Thoughts Conscious? 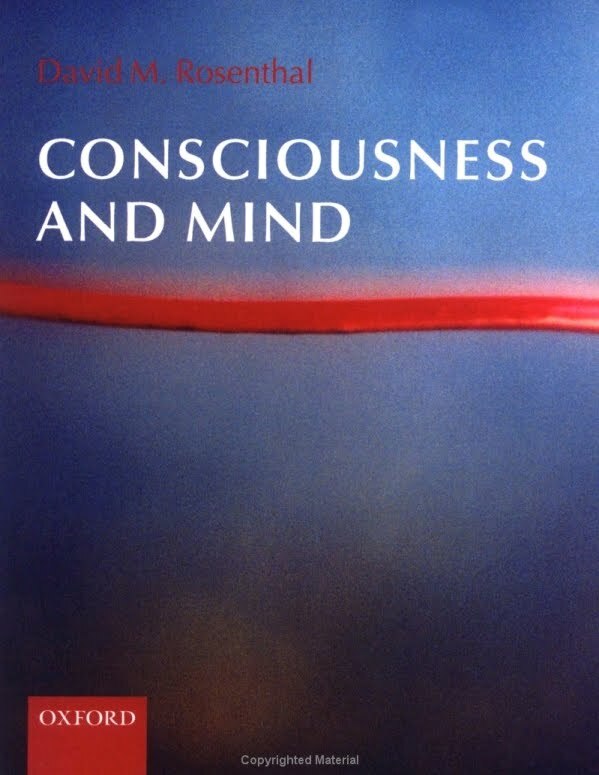 ", in Consciousness and Mind,Oxford: Clarendon Press, 2005, pp. 282-305. An earlier, significantly shorter version appeared in preprint as Report No. 32/1990,Center for Interdisciplinary Research (ZiF), University of Bielefeld. "Metacognition and Higher-Order Thoughts" (extended response to commentaries),Consciousness and Cognition, IX, 2, Part 1 (June 2000): 231-242.